A portable model in its line of integrated production switchers complete with touchscreen display is the centerpiece of the Broadcast Pix IBC exhibit. The BPswitch RX is presented as a self-contained unit complete with touchscreen display and integrated streaming to Facebook Live and other CDNs, to provide multi-camera production and high-end motion graphics for live shows on location. Targeting sports, concerts, and event coverage, the $14,995, switcher features four multi-definition video inputs, plus two IP inputs that support RTSP and NDI protocol. It also includes eight channels of clips and graphics, built-in audio mixer, three keyers with DVEs, and seven outputs. The integrated NewBlueNTX multi-layer 3D motion graphics CG includes hundreds of title styles and templates for creation of lower-thirds, bugs, animations, rolls, crawls, and looping effects like a glint or shine. 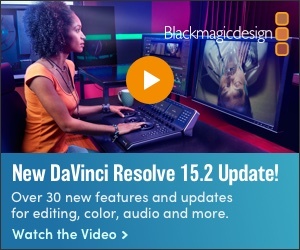 BPswitch RX offers the full complement of Broadcast Pix workflow tools, including built-in program recording, clip and graphic stores, file-based macros, ClearKey chromakey and Virtual Studios virtual sets, and customizable multi-view. Although BPswitch RX can be operated with the included keyboard and mouse, users can connect a traditional Broadcast Pix control panel or use the optional Broadcast Pix Commander customizable touchscreen interface. Like other models, BPswitch RX provides full-motion video and access to all sources and workflow tools through a browser-based interface. The unit supports optional robotic camera control as well as BPfusion, Broadcast Pix’s optional software for streamlined data-intensive CG graphics for sports, election, and news coverage.